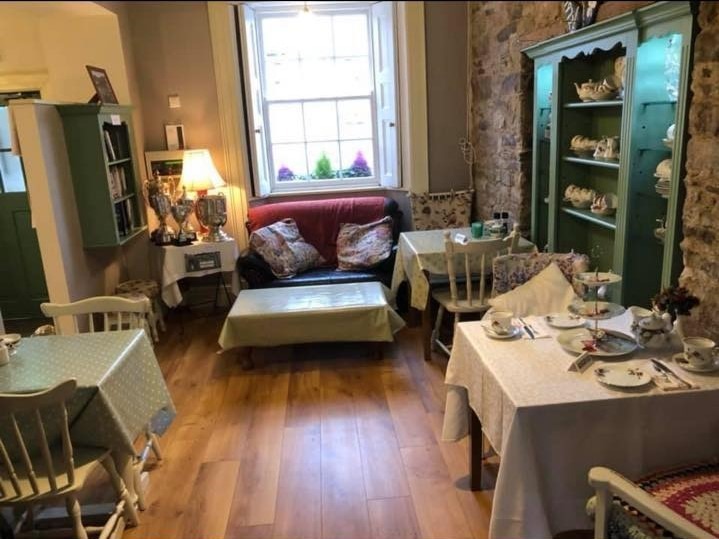 There are currently more than 20 villages and small towns in Kilkenny alone, which do not have a conventional commercial retail shop operating. This is replicated in counties around the country. With the trend in retail moving online and to the macro level- and the age profile of many of the remaining existing commercial shop owners, this number seems certain to grow. With the loss of shops, goes not just the standard retail services- groceries, newspapers, etc. – but also the financial base that supported other local services, such as post offices, banking services. In addition there is a huge social inclusion and public health dimension, with the loss of a local base where people meet, socialise and share news. Kilkenny LEADER Partnership (KLP) is committed to supporting rural communities to have the services needed to maintain and improve the quality of life in its localities. KLP is actively supporting a number of projects in the county and leading a LEADER Cooperation project to develop a regional network of ‘community shops’. Beginning with Crosspatrick in 2010, KLP has experience covering almost a decade of supporting community shops. 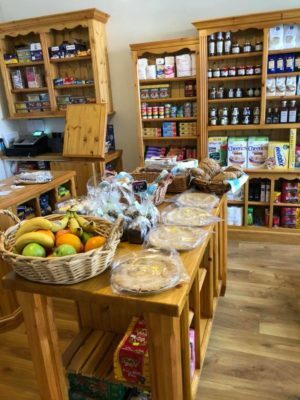 It has recently grant-aided two such newly emerging ‘community shops’ in its region: Ballyhale, which opened in July 2018 and is hugely popular. Windgap is due to open early in 2019. The Company is conscious of the lessons of earlier experiences and is aware that individual shops typically operating in isolation in rural areas are very exposed to the vagaries of economic and social dynamics. Ideally, while local autonomy and the volunteerism ethic is at the core of the value of community shops- they need to be supported on some crucial elements, if their existence is to outlast the initial enthusiasm and the commitment of a few dedicated volunteers. KLP and its LEADER company partners in Laois and Tipperary are proposing to invest in capital, training, marketing and other necessary elements to enable more communities to establish and expand their retail services. The ambition is to establish between 10 and 12 ‘community shops’ in the region. But a ‘keystone’ element identified for the initiative is a coordination system and local employment system that will give the communities both local and regional support. KLP suggests the establishment of a core high-level coordination and administration regional network function that will take responsibility for the operation of some purchasing, distribution and marketing functions. The regional coordinator will support one or two ‘core local staff’ members in each local shop, who can, in turn, support the local volunteers which will remain necessary for the continued operation of each shop. These supports will in many cases need the funding of the state or its actors in the longer term. KLP believe that the regional network project addresses several ‘National Strategic Outcomes’ of Project Ireland 2040. Crucially while it is not a panacea for all the ills of rural Ireland, it will provide a means by which those communities which have lost- or stand danger of losing their local services (shops, post offices, banks- even hostelries) can access support to re-establish these services. It is suggested to government that the existing Community Services Programme (CSP) offers the best route and ‘architecture’ to support the community shop. KLP believes that a resourcing of the CSP- and a clear statement that it would be free to fund networks of communities, would be a vital contribution. As an initial option KLP suggests that its cluster in the South East, be paired with another regional cluster in the state and a pilot initiative be operated on a 3-year basis allowing each network cluster to hire a Coordinator/ Manager and up to 12 full time equivalents. This will give the confidence to the communities with a need and some capacity to make the first step to seek support. KLP knows that the local development companies would be available and enthusiastic to support the communities, promote the concept and grow the networks.